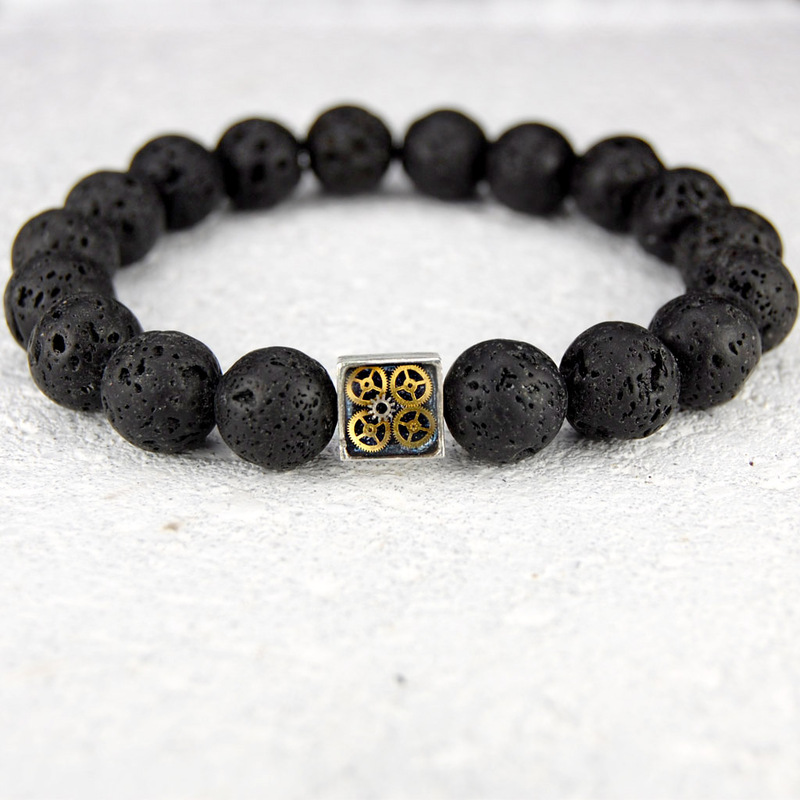 Lava bead bracelet featuring a sterling silver bead filled with watch parts. Stretch bracelet. 10 mm beads. If you would like a different measurement than listed, please make a note when placing the order. *Watch gear pattern in the bead will vary from bracelet to bracelet.